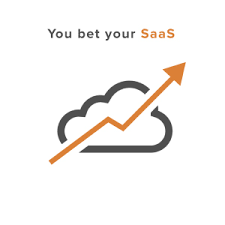 SaaS is the hottest business model for software-centric companies and has been for some time. PJM provides customized management consulting and Interim management services to SaaS, PaaS and IaaS and other Cloud-based companies. We can assist with any strategic/tactical general management or market-facing issue that requires senior personnel, expertise or management bandwidth currently unavailable within your company. PJM can provide an “outside view” and advise on strategy with the perspective of someone who has “been there before”. We specialize in working with CEOs and senior management on the most difficult issues, striving to eliminate those very costly “first time” errors while optimizing your company’s structure, strategy, tactics and results. Do you currently have a hole in your team and need an interim CEO, COO, VP Marketing or VP Business Development? We can provide one. Is the company entering international markets or channel distribution for the first time? We have years of experience planning and executing new marketing and distribution strategies; we can advise your or even head up the effort to get you started in the right direction. With many years of experience in building, leading and advising SaaS and other Software-based companies, PJM is a source of expert advice as well as hands-on assistance. We can providing expert advice on optimizing your strategic and tactical decisions and programs to optimally grow your Cloud-based business. We have written many articles on management issues facing SaaS and Cloud-based companies.Our Blog contains these articles and a variety of others facing software-based businesses. Our domain experience includes many markets such as Enterprise Software, Consumer Software, Security Software, SMB software, IP Networking, Retail Management Systems, Wireless, CAD, Security, Network Management, Backup Sofware, Systems Management Software, Photography Software, CMS software and more. PJM consultants are experts at matching technologies with market needs, planning new products, penetrating new markets and minimizing costs. Our specialty is the “tough” cases: Startups, hyper growth, turnarounds, new markets and other situations where market traction is difficult to come by. We are flexible and aggressive; we can design an custom engagement to meet the needs of your company . Contact PJM Consulting to discuss your SaaS Management Consulting or SaaS Interim Management issues and needs today!